It’s easy to jump to the conclusion that Millenials are the ruling generation of social media influence, with the likes of Zoella and Tanya Burr shooting to fame and fortune before the age of 27. But there’s a new crowd in town, showing the young’uns how it’s done. 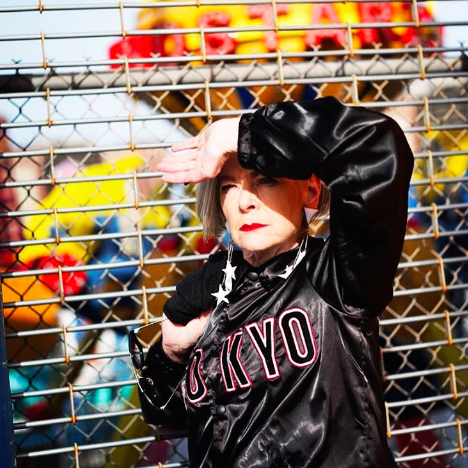 Social media has given rise to a generation of amazing older style icons and we’ve rounded up four of our favourite. University professor Lyn Slater shot to influencer status when she was accidentally (the clue is in the name) papped en route to meet a friend for lunch during New York fashion week. 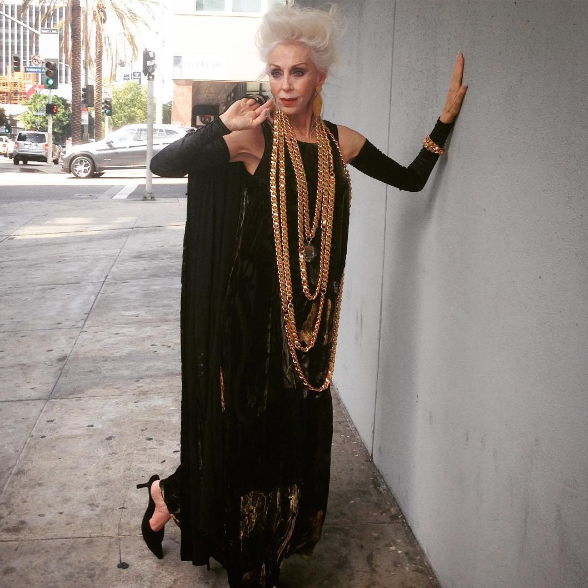 The 63 year old is the current face of Mango’s marketing campaign and has a huge following to both her blog and Instagram page, on which she posts regular style shots with the hashtag #AgeIsNotAVariable. Colleen gives me major outfit envy. I just love her vibe of old school glamour. With flowing hemlines and statement earrings, Colleen knows how to accessorise. I don’t care what our age difference is, I will definitely be following her for constant style inspo and #LifeGoals. 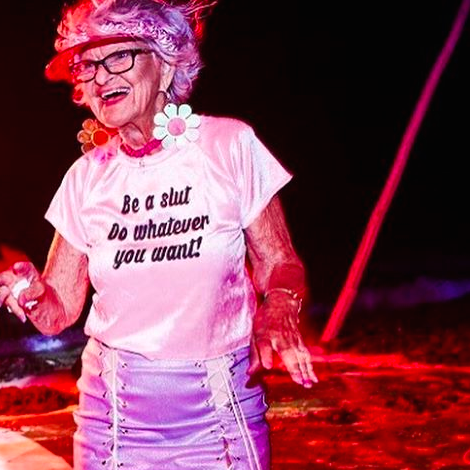 AKA Helen Ruth Elam Van Winkle, became an internet sensation at 85 and has endless sass. With 3 million Instagram followers and a bio that reads “Stealing yo man since 1928”, Baddie is indeed the baddest granny on Instagram/in the world. To describe her style, I would say imagine The Confetti Crowd meets Miley Cyrus, mixed with Rihanna’s sass for good measure. I can’t do her style or captions any justice with words, so please just go follow her. 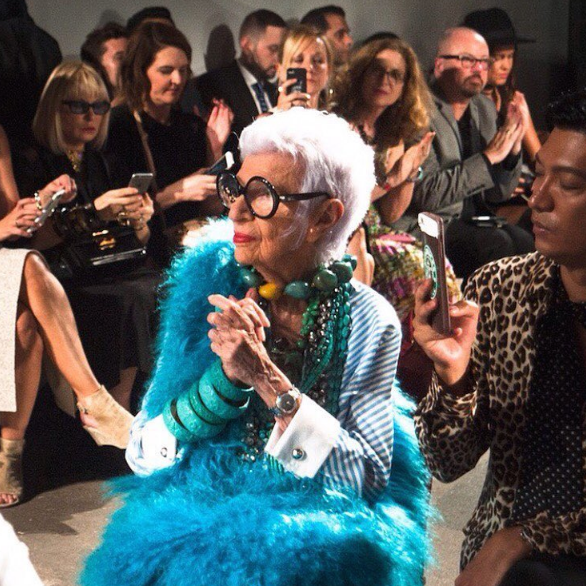 A special mention for nongeneration fashion icon Iris Apfel, who you could argue paved the way for fashion to celebrate women of all ages. Business woman/socialite/interior and fashion designer/style icon/all-round superwoman, Iris, is 95 and has worked with a number of brands. Famously quoted saying “Fashion you can buy, but style you possess”, and this woman has bags of it. We love to see the fashion industry accepting and appreciating people of all shapes, sizes and ages and for us, these four are a major inspiration. I’d recommend you follow them all for some serious life goals.